Is you’re looking for something really cheerful, this is it. 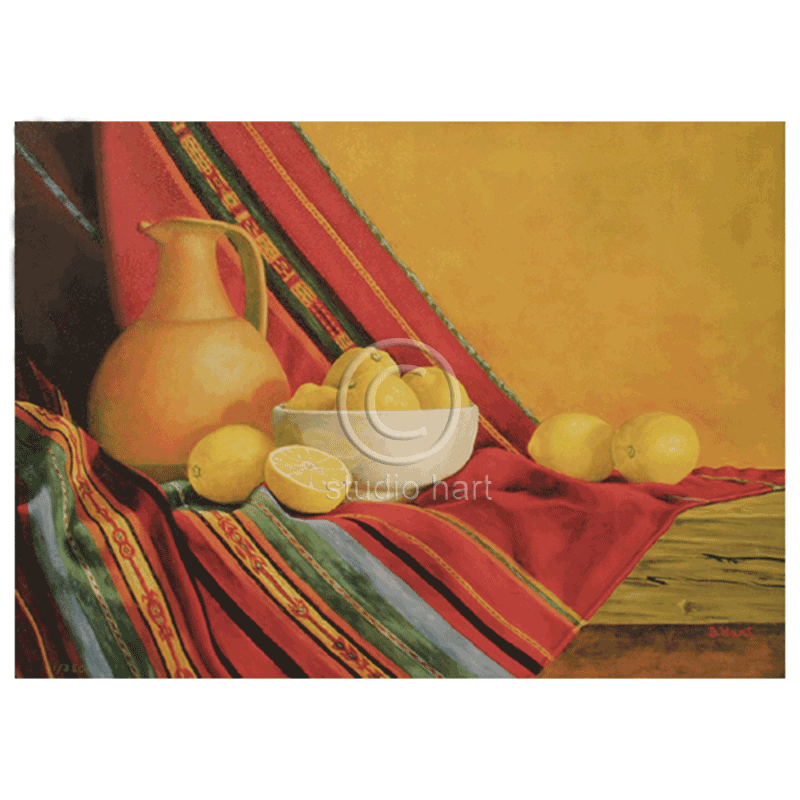 Bright yellow lemons are complemented by the bright red Peruvian tapestry and clay pot. Size: Image 17×23″. Paper size 20×26″.